There’s no reason to leave the neighborhood this weekend, friends. On Thursday, the Capitol Hill Art Walk is throwing a big party for the walk’s five-year anniversary and we wrote about it. The World Cup starts Thursday, and here’s where you can watch World Cup matches around the Hill. Saturday, buy your neighbor’s stuff during the Capitol Hill Garage Sale Day, and then head to Volunteer Park for the 5th Annual Seattle Pride Picnic. 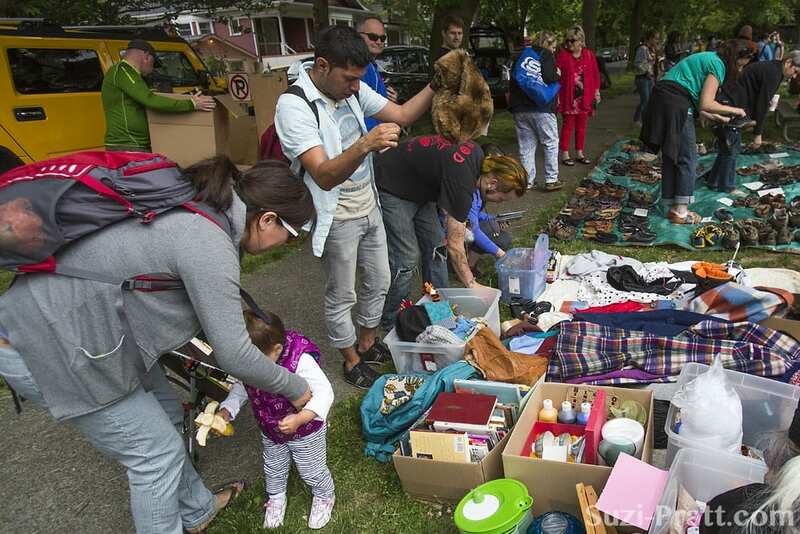 More than 30 yard sales have registered on to be on the Garage Sale map, but like in past years, look for pop-up sales all over Capitol Hill (and the CD). New for 2014: the community sale area is now hosted in Cal Anderson Park. One stop shopping. Official Capitol Hill Garage Sale sale are 9am – 4pm. 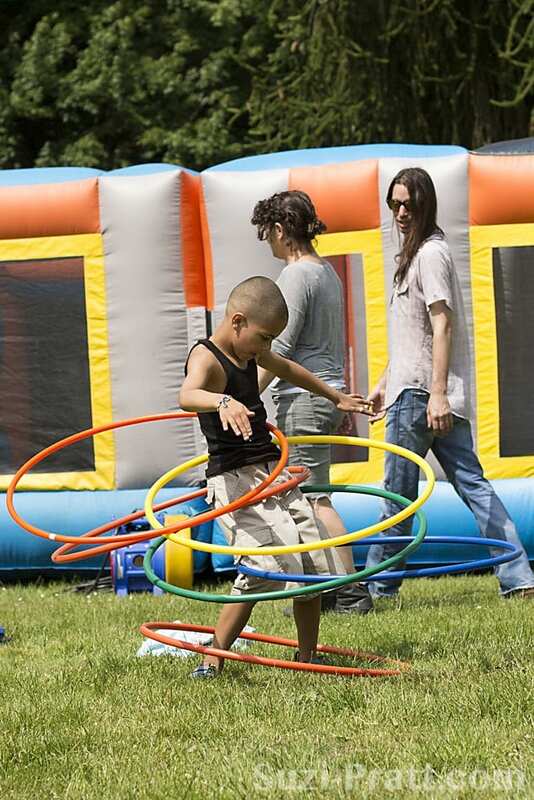 The 5th annual Seattle Pride Picnic on Saturday is all-ages appropriate with live entertainment and kids activities all day, 11am – 5pm at Volunteer Park. You can bring your own picnic if you must, but we recommend taking advantage of the $1 Picnic Lunch which includes hot dogs, side dishes, refreshments and dessert if you can. Also on Saturday: the Seattle Architecture Foundation tour of Pike/Pine: “Change on an Urban Scale” (10am, register to secure a spot), and Bubble Battle Seattle, an all ages bubble “fight” 3 – 5pm at Cal Anderson Park’s Teletubby Hill. Recycle electronics, appliances, BBQs, and more at Central Lutheran Church on 11th, 9am – 2pm. Happy 11th Birthday, Retail Therapy! Party on Thursday night with DJ Riz Rollins. Happy 6th Anniversary, Vermillion! Party on Saturday night with champagne, cake, and music from Wizdumb. 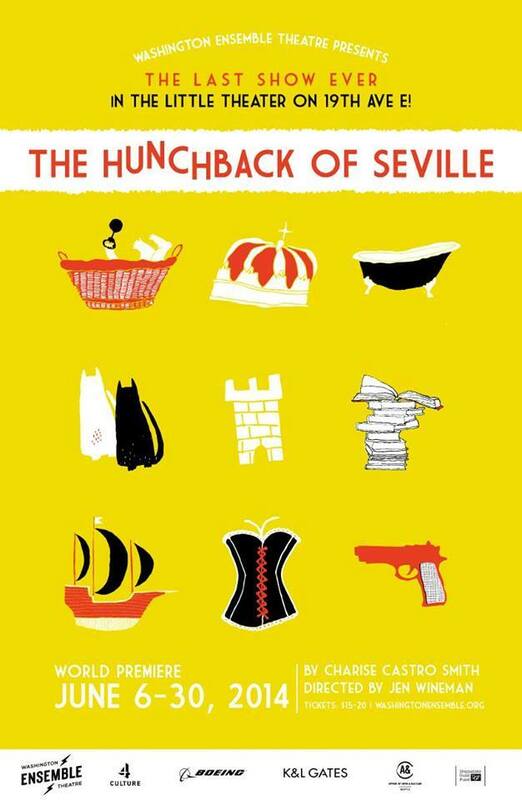 Washington Ensemble Theatre presents the world premier of The Hunchback of Seville, “a vividly naughty and hilariously bizarre tale set in Seville in the year 1504.” The comedy runs through June 30th and is the last WET production in the space on 19th Ave. Find out why, and where they are moving to. Seattle filmmaker Megan Griffith’s new film Lucky Them opens Friday at Northwest Film Forum and runs through Thursday June 19th. This fictional account of a jaded music journalist (starring Toni Collette and Thomas Haden Church) is set in Seattle and was shot on and around Capitol Hill last year. Take your daddy to the Broadway Farmer’s Market on Sunday.